True Movies 1 has become the latest film channel to launch on Freeview this week. The channel has taken over from True Christmas, which joined Freeview in October 2015. True Movies 1 is only available in local TV coverage areas on Freeview channel 82. True Movies 1 features an array of 'real life' dramas and made for TV movies. True Movies 2, meanwhile, is not available on Freeview, although sister channel True Entertainment is available on channel 61 (not from transmitters in Wales). Freeview now has five film channels: Film4, MovieMix, Movies4Men, Talking Pictures (limited coverage) and True Movies 1 (+1 channels not included). This article has been archived for reference purposes. 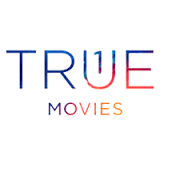 True Movies 1 was removed from Freeview (except Manchester) on 22/03/2016. Good to see another film channel on freeview only snag is I can't get the local freeview multiplex. Oh well! maybe they will bring it to the main freeview service. This is great news. But unfortunately I couldn't get Talking Movies on my standard definition Freeview TV as its already an analogue definition one from 2008... As also there is a sixth movie channel called Horror, which does show the actual movies in the afternoon and mostly in evenings, apart from the sci-fi stuff Highlander, Doctor Who, and Dark Angel. Bit of a misleading headline don't you think? "Truemovies 1 makes Freeview debut"??? Hardly. Again Freeview lite customers - no chance. The truth is that if you are lucky enough to be able to pick up one of the local tv services (not even if you currently have access to the main Freeview mux) then you may stand a chance of getting this service. Only further proves to me that Freeview is a total shambles. As Clive Jones former joint managing director of ITV said "If you want decent tv get a satellite dish on your house", he wasn't wrong. I'd disagree about the headline - the local TV multiplex is part of the Freeview service, regardless of whether you can receive it or not. And True Movies 1 has launched on it. This site probably goes out the way the most when it comes to communicating the differences in Freeview channel availability in its articles (as shown in the second paragraph above) and on the Freeview Channel Lists for each part of the UK. As a free service, of course, Freeview users cannot necessary be called "customers", as per the common dictionary definitions of the word. Surely in this case the headline should have read "True Movies 1 makes debut in Freeview Local TV areas"? I take your point, but in considering the headline, similar headlines for other Freeview channels that aren't available on all transmitters are treated in the same way - full explanations are given within a short time in the article (often in more detail than on other websites). Also the local TV multiplex is now available to a majority of Freeview viewers - a service addition available to a minority may well warrant a different headline.